427. The work of the Holy Spirit changes from day to day, rising higher with each step; the revelation of tomorrow is even higher than today’s, step by step climbing ever higher. Such is the work by which God perfects man. If man cannot keep pace, then he may be left behind at any time. If man does not have an obedient heart, then he cannot follow to the end. The former age has passed; this is a new age. And in a new age, new work must be done. Particularly in the final age in which man will be perfected, God will perform new work ever more quickly. Therefore, without obedience in his heart, man will find it difficult to follow the footsteps of God. God does not abide by any rules, nor does He treat any stage of His work as unchanging. Rather, the work He does is ever newer and ever higher. His work becomes more and more practical with each step, more and more in line with the actual needs of man. Only after man experiences this kind of work can he attain the final transformation of his disposition. Man’s knowledge of life reaches ever higher levels, and so likewise the work of God reaches ever higher levels. Only in this way can man be made perfect and become fit for God’s use. God works in this way on the one hand to counter and reverse the notions of man, and on the other to lead man into a higher and more realistic state, into the highest realm of belief in God, so that in the end, the will of God can be done. … God’s work is to supply you through His words. When you obey and accept His words, then the Holy Spirit shall surely work in you. The Holy Spirit works exactly in the way I speak. Do as I have said, and the Holy Spirit will promptly work in you. I release a new light for you to see and bring you into the light of the present time. When you walk into this light, the Holy Spirit will immediately work in you. There are some who may be recalcitrant, saying, “I simply will not carry out what You say.” Then I tell you that you have now come to the end of the road, you are dried up, and have no more life. Therefore, in experiencing the transformation of your disposition, it is most crucial to keep pace with the present light. 429. People’s pursuit of entry into life is based on God’s words; it has been said before that everything is accomplished because of His words, but no one has seen the facts. If in this stage you enter into experience you will be completely clear—this is building a good foundation for future trials, and no matter what God says, you just need to enter into His words. When God says He starts to chastise people, you accept His chastisement. When God asks people to die, you accept that trial. If you are always living within His newest utterances, in the end God’s words will perfect you. The more you enter into God’s words, the more quickly you will be perfected. Why do I fellowship again and again and ask you to understand and enter into God’s words? It is only by focusing your pursuit toward God’s words and experiencing them and entering into the reality of them that the Holy Spirit will have the opportunity to work in you. 431. When a change in disposition has been spoken of in the past, it has mainly been about forsaking oneself, allowing the flesh to suffer, disciplining one’s body, and ridding oneself of fleshly preferences—this is one type of change in disposition. People now know that the real expression of a change in disposition is obeying the current words of God as well as being able to have a genuine understanding of His new work. This way people will be able to get rid of their previous understanding of God in their notions, and achieve a true understanding of and obedience to Him. Only this is a genuine expression of a change in disposition. 443. Man’s disposition should be changed starting from the knowledge of his substance and through changes in his thinking, nature, and mental outlook—through fundamental changes. Only in this way will true changes be achieved in the disposition of man. Man’s corrupt disposition stems from his being poisoned and trampled upon by Satan, from the egregious harm that Satan has inflicted upon his thinking, morality, insight, and sense. It is precisely because these fundamental things of man have been corrupted by Satan, and are utterly unlike how God originally created them, that man opposes God and does not understand the truth. Thus, changes in man’s disposition should begin with changes in his thinking, insight and sense that will change his knowledge of God and his knowledge of the truth. 450. You must first resolve all the difficulties within yourself by relying on God. Make an end to your degenerate dispositions and be able to really understand your own situations and know how you should do things; keep fellowshiping anything you don’t understand. It is unacceptable for you not to know yourself. First heal your own sickness, and by means of eating and drinking My words more, contemplating My words, live life and do things according to My words; whether you are at home or in some other place, you should allow God to wield power within you. Cast off the flesh and naturalness. Always let God’s words have dominion within you. There is no need to worry that your life is not changing; you will slowly come to feel that your disposition has changed a great deal. Before you were quick to be in the limelight, you didn’t obey anyone or you were ambitious, self-righteous or prideful, and you will gradually cast these things off. If you wish to cast them off right now, then that is not possible! This is because your old self will not allow others to touch it, it is so deeply rooted in you. So you must make subjective efforts, positively and actively obey the work of the Holy Spirit, use your will to cooperate with God and be willing to put My words into practice. 453. You have to practice your entry in real life, know your own deficiencies, disobedience and ignorance, and know your abnormal humanity and weaknesses. That way, all your knowledge will be integrated into your actual situation and difficulties. Only this kind of knowledge is real and can allow you to truly grasp your own condition and achieve your dispositional transformation. 454. In believing in God, if man desires transformation in his own disposition, then he must not detach himself from real life. In real life, you must know yourself, forsake yourself, practice the truth, as well as learn the principles, common sense and rules of self-conduct in all things before you are able to achieve gradual transformation. If you only focus on the knowledge in theories and only live among religious ceremonies without going deep into reality, without entering into real life, then you will never enter into reality, you will never know yourself, the truth, or God, and you will always be blind and ignorant. 455. You are artless and open, willing to know yourself, and willing to put truth into practice. God sees that you are willing to know yourself and are willing to put truth into practice, so when you are weak and negative, He enlightens you doubly, helping you know yourself more, be more willing to repent for yourself, and be more able to practice the things that you should practice. Only in this way is your heart peaceful and at ease. A person who ordinarily pays attention to knowing God, who pays attention to knowing himself, who pays attention to his own practice will be able to frequently receive God’s work, to frequently receive guidance and enlightenment from God. Even though in a negative state, he is able to turn around immediately, whether due to the action of conscience or due to enlightenment from God’s word. The change of a person’s disposition is achieved always when he knows his own actual state and knows the disposition and work of God. 456. To transform people, there must be some practicality, they must practice with real matters, real things, and real environments. By merely relying on church life, is it possible to achieve true training? Could man enter into reality? No. If man is unable to enter into real life, then he is unable to transform his old ways of doing things and living life. It is not entirely due to the laziness of man or his strong dependency, but rather it is because man simply does not have the capacity for living, and moreover, he has no understanding of the standard of the likeness of a normal man that God requires. In the past, people were always talking, speaking, having fellowship, and they even became “orators”; yet none of them were seeking transformations in life disposition; they only insisted on seeking profound theories. Therefore, today you must change this religious life of believing in God. You must enter in and practice by targeting one thing, one matter, one person. You must do things with focus—only then can you attain results. To transform people, it must begin with their substance. The work must be targeted on people’s substance, their life, on the laziness, dependency, and slavishness of people, and only in this way can they be transformed. 464. God now wants to gain a group of people—they are those who strive to cooperate with Him, who can obey His work, who believe the words God speaks are true, and who can put God’s requirements into practice. They are those who have true understanding in their hearts. They are the ones who can be perfected, and they will inevitably walk the path of perfection. 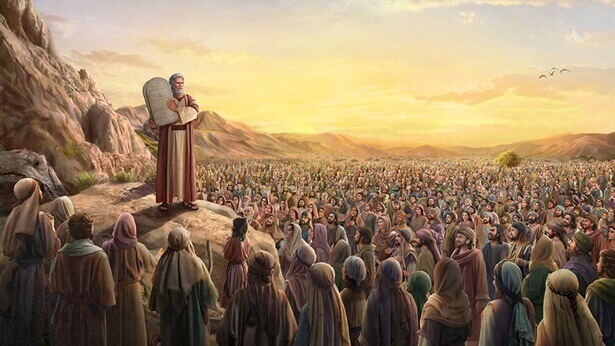 Those without a clear understanding of God’s work, who do not eat and drink of God’s words, who pay no attention to His words, and who are without any love for God in their hearts—people like this cannot be perfected. Those who doubt God in the flesh, who remain uncertain about Him, who are never serious about His words, and who always deceive Him, they resist God and are of Satan—there is no way to perfect such people. 465. To seek being perfected by God, one must first understand what it means to be perfected by Him, what conditions one must possess to be perfected, and then seek the path of practice once one has a grasp of such matters. One must possess a certain caliber in order to be perfected by God. Many of you do not possess the necessary caliber, which requires you to pay a certain price and your subjective effort. The less your caliber, the more subjective effort you must put in. The greater your understanding of God’s words and the more you put them into practice, the faster you can enter onto the path of being made perfect by God. Through praying, you can be made perfect amid prayers; through eating and drinking the words of God, grasping the substance of God’s words, and living out the reality of God’s words, you can be made perfect. Through experiencing God’s words on a daily basis, you come to know what is lacking in you, and, moreover, come to know your Achilles’ heel and weaknesses, and you offer prayer to God, through which you will gradually be made perfect. 466. If you are truly willing to be perfected by God, then you will have the courage to cast aside your flesh, and will be able to carry out God’s words and not be passive or weak. You will be able to obey all that comes from God, and all of your actions, whether done in public or in private, will be presentable to God. If you are an honest person, and practice the truth in all things, then you will be perfected. Those deceitful men who act one way before the face of others and another way behind their backs are not willing to be perfected. They are all sons of perdition and destruction; they belong not to God but to Satan. They are not the kind of man chosen by God! If your actions and behavior cannot be presented before God or be looked upon by the Spirit of God, this is proof that there is something wrong with you. Only if you accept the judgment and chastisement of God, and place importance on the transformation of your disposition, will you be able to get on the path to being perfected. If you are truly willing to be perfected by God and to do the will of God, then you should obey all of God’s work, without giving voice to a single word of complaint, without presuming to evaluate or to judge the work of God. These are the minimal requirements for being perfected by God. The necessary requirement for those who seek to be perfected by God is this: do all things with a heart that loves God. What does it mean “to do things with a heart that loves God”? It means that all of your actions and behavior can be presented before God. As you hold the right intentions, whether your actions are right or wrong, you are not afraid for them to be shown to God or to your brothers and sisters; you dare to make a vow before God. That your every intention, thought, and idea be fit to be examined in God’s presence: if you practice and enter in this way, then progress in your life will be swift. 467. God makes people perfect through their obedience, through their eating, drinking, and enjoying of God’s words, and through the suffering and refinement in their lives. Only through faith such as this can people’s dispositions change, only then can they possess the true knowledge of God. Not being satisfied with living amid God’s graces, actively thirsting for the truth, and searching for the truth, and pursuing being gained by God—this is what it means to consciously obey God; this is precisely the kind of faith that God wants. 468. If you cannot live out the essence of God’s word, your eating and drinking and prayers are entirely concerned with religion. Then such kind of man cannot be perfected and cannot be gained by God. All those gained by God are those who pursue the truth. What God gains is not man’s flesh nor his possessions, but the part within him that belongs to God. That is why I say that God perfects not the flesh of man but his heart, so that the heart of man may be gained by God. In other words, the essence of saying that God perfects man is that God perfects the heart of man so that it may turn to God and love Him. 469. If you want to be used and perfected by God, you must be possessed of everything: the will to suffer, faith, endurance, obedience, as well as the ability to experience the work of God, gain a grasp on His will, and be considerate of His sorrow. Perfecting a person is not easy, and every single refinement that you experience requires your faith and love. If you want to be perfected by God, just hitting the streets is not enough, and only expending yourself for God is not enough either. You must possess many things to be able to become someone who is perfected by God. … No matter what your actual stature is, you must first possess the will to suffer hardship as well as true faith, and you must have the will to forsake the flesh. You should be willing to personally endure hardships and suffer losses to your personal interests in order to satisfy God’s will. You must also have a heart of regretting yourself, that you weren’t able to satisfy God in the past, and be able to regret yourself now. Not a single one of these can be lacking and God will perfect you through these things. If you lack these conditions, you cannot be perfected. 470. The paths to being made perfect: praying, eating and drinking the words of God, grasping the essence of God’s words, entering into the experience of God’s words, coming to know what is lacking in you, obeying the work of God, being mindful of God’s burden and forsaking the flesh through your loving heart, and having frequent fellowship with brothers and sisters, which enriches your experiences. Whether it be communal life or your personal life, and whether it be large assemblies or small ones, all can allow you to acquire experiences and receive training so that your heart can be quiet before God and return to God. All of this is the process of being made perfect. Experiencing the words of God that has been spoken of means being able to actually taste the words of God and allowing them to be lived out in you so that you have greater faith and love toward God. Through this way, you will gradually shed the corrupt satanic disposition, you will gradually divest yourself of improper motivations, and live out the likeness of a normal person. The greater the love for God within you—which is to say, the more of you that has been made perfect by God—the less you are corrupted by Satan. Through your practical experiences, you will gradually enter onto the path of being made perfect. Thus, if you wish to be made perfect, being mindful of the will of God and experiencing the words of God are especially important. 471. The path to being made perfect is reached through your obedience to the work of the Holy Spirit. You do not know through what kind of person God will work to perfect you, nor through what person, occurrence, or thing He will enable you to enter into possession and to gain some insight. If you are able to walk onto this right track, it shows that there is great hope for you to be perfected by God. If you are unable to do so, it shows that your future is bleak and devoid of light. Once you get on the right track, you will gain revelation in all things. No matter what the Holy Spirit may reveal to others, if you proceed on the basis of their knowledge to experience things on your own, then this experience will become a part of your life, and you will be able to supply others out of this experience. Those who supply others by parroting words are people who have not had any experiences; you must learn to find, through the enlightenment and illumination of others, a way of practice before you can begin to speak of your own actual experience and knowledge. This will be of greater benefit to your own life. You should experience in this way, obeying all that comes from God. You should seek the will of God in all things and study the lessons in all things, that your life may mature and grow. This kind of practice affords the fastest progress. 472. At present, that which you should primarily seek is to be perfected by God in all things, and to be perfected by God through all people, matters, and things that you are faced with, so that more of what God is will be incorporated into you. You must first receive the inheritance of God on earth before you are eligible to inherit more and greater blessings from God. All such things are that which you should seek and which you should first understand. The more you seek to be perfected by God in all things, the more you will be able to see the hand of God in all things, thereby actively seeking to enter into the being of God’s word and the reality of His word through different perspectives and in different matters. You cannot be content with such negative states as merely not committing sins, or having no conceptions, no philosophy of life, and no human will. God perfects man in various ways, and it is possible in all matters for you to be perfected as a result. Not only can you be perfected in terms of the positive, but also of the negative, thereby enriching you. Every day there are opportunities to be perfected and time to be gained by God. After a period of such experience, you will be greatly changed. You will now naturally be able to gain insight into many things that you previously did not understand; without needing others to teach you, unknowingly, you will be enlightened by God, so that you have enlightenment in all things and all your experiences go into detail. God will guide you so that you veer not to either side. Then you will be set upon the path to perfection by Him. Being perfected by God cannot be confined to perfection by eating and drinking God’s word. This manner of experience is too one-sided and does not encompass enough; it only restricts man to a very small scope. In this case, man lacks much needed spiritual nourishment. If you wish to be perfected by God, you must learn to experience all things and be enlightened in all that you face. Whenever you are faced with something, be it good or bad, you should benefit from it and it should not cause you to become passive. No matter what, you should be able to consider it by standing on the side of God, and not analyze or study it from the perspective of man (this is a deviation in your experience). If this is the manner of your experience, then your heart will be taken over by the burdens for your life; you will live constantly in the light of God’s countenance and will not easily deviate in your practice. Such kind of man has great prospects. 473. To be truly fit for God’s use, you not only need to have aspiration, but you also need much enlightenment from God, guidance from God’s words, dealing from God, and the refinement of His words. On this foundation, you should pay attention to your observations, thoughts, pondering, conclusions, absorptions or eliminations in ordinary times. These are all paths for your entry into reality and all of them are indispensable—this is the way that God performs work. If you should enter into this method by which God performs work, then you will have the opportunity to be perfected by God every day. And at any time, regardless of whether it is a harsh environment or a favorable environment, whether you are being tested or tempted, whether you are working or not, whether you are living life as an individual or as a collective, you will always find opportunities to be perfected by God, without missing a single one of them. 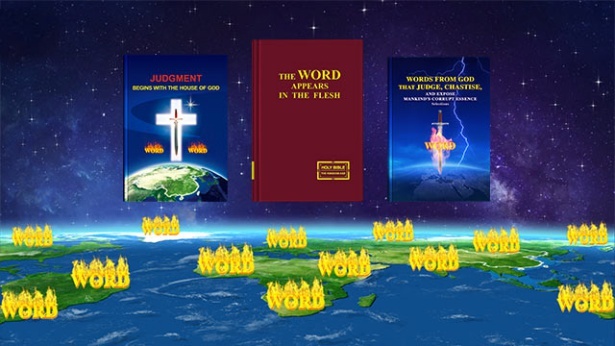 You will be able to discover all of them, and in this way you will have found the secret to experiencing God’s words. 474. When people step onto the path of perfection, their old disposition can be changed. Further, their lives keep growing and they gradually enter more deeply into the truth. They are able to loathe the world and loathe all those who do not pursue the truth. They especially loathe themselves, but more than that, they clearly know themselves. They are willing to live by the truth and they make it their goal to pursue the truth. They are unwilling to live within the thoughts generated by their own brains, and they feel loathing for man’s self-rightness, haughtiness, and self-conceit. They speak with a strong sense of propriety, handle things with discernment, are possessed of wisdom, and are loyally obedient to God. If they experience an instance of chastisement and judgment, not only do they not become passive or weak, but they are grateful for it. They cannot do without God’s chastisement and judgment; they can receive His protection through it. They do not pursue a faith of peace and joy and of seeking bread to satisfy hunger. Neither do they go after temporary fleshly enjoyments. This is what the perfected have. 476. Those who have been made perfect not only possess normal humanity, but are possessed of truths that exceed the measures of conscience, and that are higher than the standards of conscience; they not only use their conscience to pay back God’s love, but, more than that, they have known God, and have seen that God is lovely, and worthy of man’s love, and that there is so much to love in God that man cannot help but love Him. The love of God of those who have been made perfect is in order to fulfill their own personal aspirations. Theirs is a spontaneous love, a love that asks for nothing in return, and which is not a trade. They love God because of nothing other than their knowledge of Him. Such people care not whether God bestows graces upon them, and are content with nothing more than to satisfy God. … Those who have been made perfect always believe that God is the Creator, that He carries out His work upon them, and that, since they have this opportunity, and condition, and qualification to be able to be made perfect, their pursuit should be to live out a life of meaning, and they should satisfy Him. 477. You must be able to follow to the very end regardless of whether there are any prospects, and you must not lose faith in God regardless of the environment. Ultimately, you must achieve two aspects of testimony: the testimony of Job—obedience unto death—and the testimony of Peter—the supreme love of God. In one respect, you must be like Job: He had no material possessions, and was beset by the pain of the flesh, yet he did not forsake the name of Jehovah. This was Job’s testimony. Peter was able to love God unto death. When he died—when he was put on the cross—he still loved God; he did not think of his own prospects or pursue glorious hopes or extravagant thoughts, and he sought only to love God and to obey all of God’s arrangements. Such is the standard you must achieve before you can be considered to have borne testimony, before you become someone who has been made perfect after having been conquered.